Portdaddia: Privacy, What The Hell Is It? 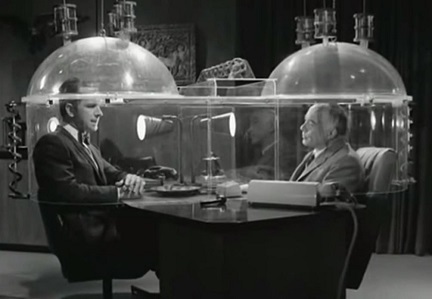 I could use a device like this about now. I like having a close relationship with my kids. But lately I feel I have not raised them right when they refuse to respect my privacy when I want to talk with LSS. They feel they have a right to be privy to all information that may or may not pertain to them. I suppose it doesn't help that I'm always blogging about stuff. Transparency is a hallmark of Portdaddia. I believe I know how this story goes. I complain about lack of privacy and the minute the problem is solved I'm angry that the nippers don't want to hear anything at all from the Old Man. Every topic I bring up will be TMI (Too Much Information). I will continue grumbling until the new dawn arrives. Stoke!